As Glastonbury came to an end yesterday we took a look at the ‘what’s hot’ and ‘what’s not’ styles that some of the musicians and celebrities were wearing over the weekend. With the likes of Alexa Chung, Cara Delevingne and Margot Robbie in attendance we were sure to see some amazing outfits but then again we were sure to see some questionable ensembles as well. This will give you a chance to hit your womens wholesale clothing suppliers in time for the many more festivals that are coming up right until the end of September. On the first day of the festival, Cara Delevingne sported her new buzz cut with a casual cherry print top with colour coordinated red raincoat while on the second day of the festival she opted for the ever opinion dividing ‘double denim’ look. But this is Cara Delevingne we’re talking about, the womens fashion model turned actress who could make a plastic bag look good, so she obviously looked as great as ever. She was even snapped wearing tracksuit bottoms at one point and still seemed to make them look very on trend. Margot Robbie kept it simple and opted for the casual look, donning a bright yellow raincoat and hunters wellies (a festival must) with a star print casual dress. It shows that keeping it simple can still stand out and make you look like a moviestar…literally. Alexa chung looked a bit more sophisticated than her fellow celebs by wearing some tailored camel coloured trousers, with a polka dot blouse and navy blue long raincoat. She showed that without making too much of a fuss that you can still look glam by choosing the correct things to wear. 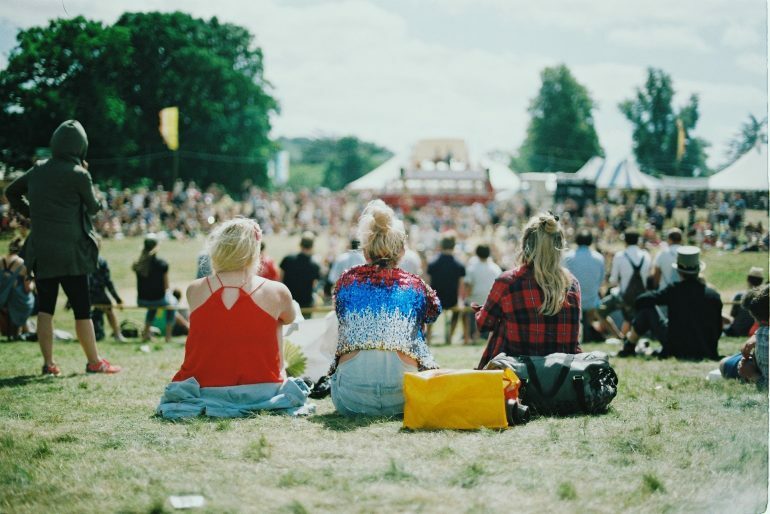 With people taking a lot of influence from celebrities in today’s society, in particular, the things they wear, be sure not to miss out on stocking the latest festival trends. Take a look for yourself at some of the stuff the A-listers have been wearing throughout festival season to get an idea. Think tunics, dresses, casual tops, raincoats, jumpsuits, demin shorts and playsuits. Stuff that is easy to wear whilst comfortable but will still make a statement! Get down to your womens wholesale suppliers and check out what styles they have to help your customer look amazing for their next festival!